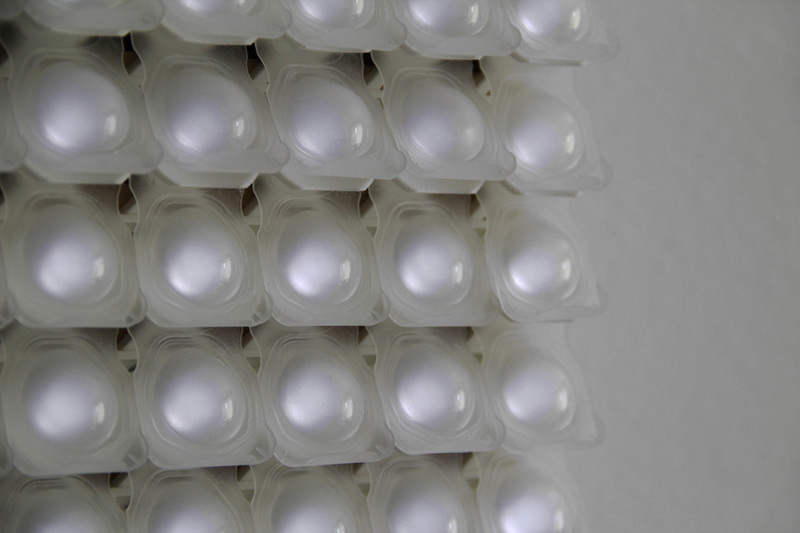 Contact lenses are typically made for frequent disposal, and are packaged in single-use plastic containers. 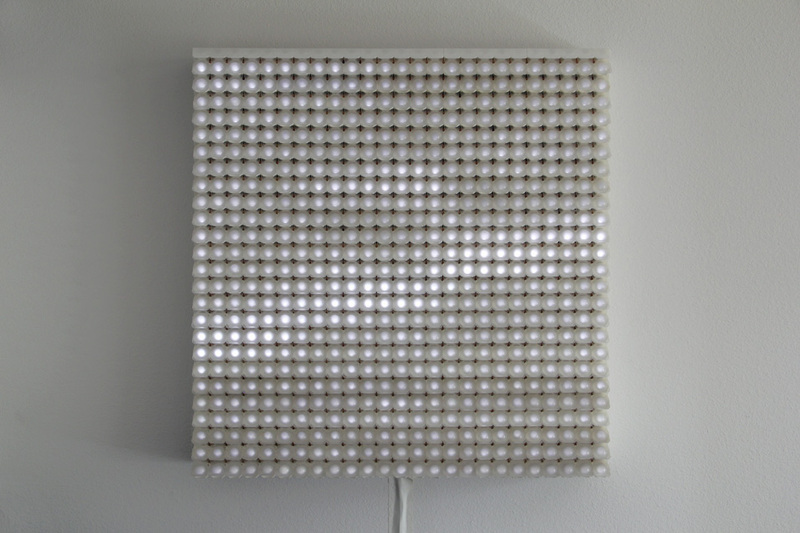 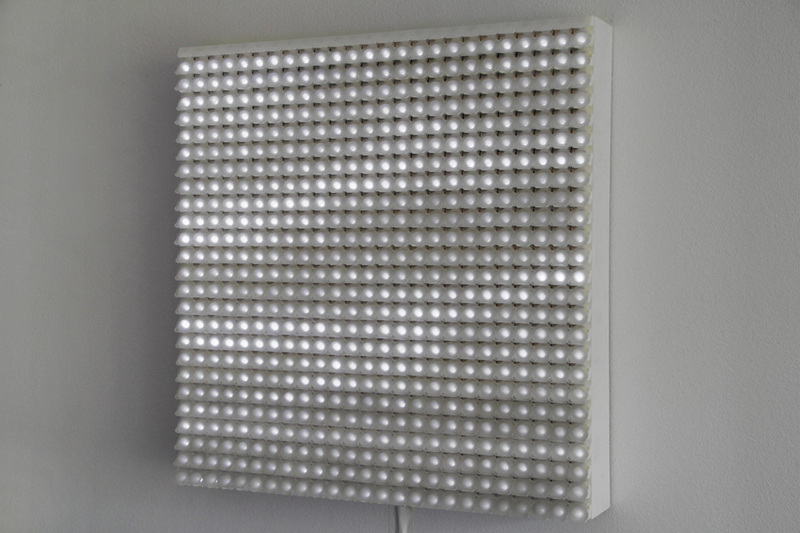 Poly-Mer is a light sculpture art piece which repurposes these plastic trays into a shingled translucent surface, which is then used to diffuse the glowing light of a low-resolution matrix of LEDs. 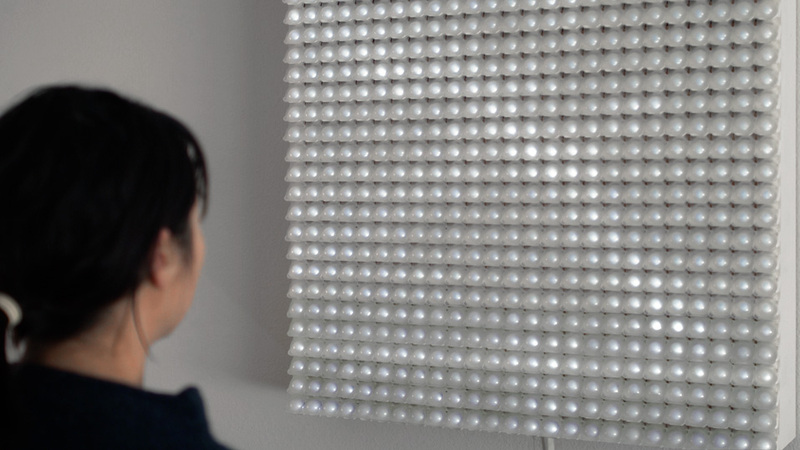 The plastic trays are held in arrangement by a series of interlocking custom 3D-printed holders. 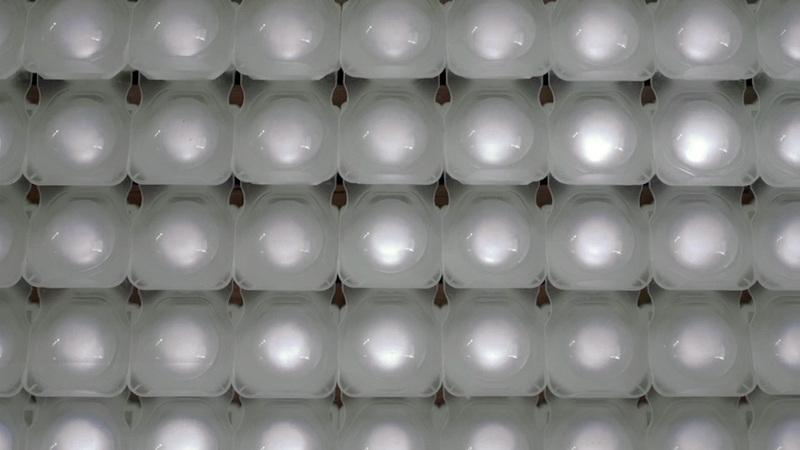 The material surface formed by these trays is animated by a video loop of ocean waves, bringing plastic and water together as a reminder of the perils of plastic ocean pollution.